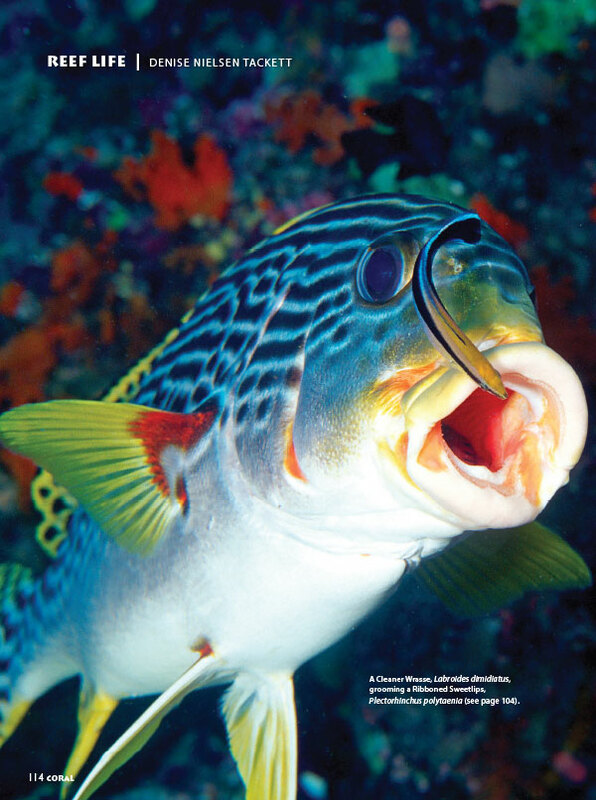 We misidentified the Sweetlips species depicted in “Reef Life” for the Jan/Feb 2017 issue of CORAL Magazine. A correction is listed below. Observant CORAL Magazine subscribers Ron & Midge Silver caught a recent error in the species identification of the Sweetlips which fills our Reef Life closing page in the January/February 2017 issue of CORAL. 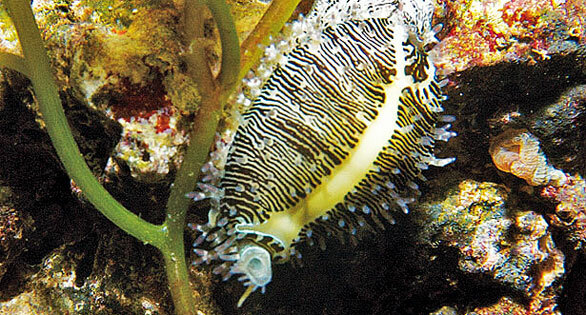 The name included, Ribboned Sweetlips, Plectorhinchus polytaenia, is incorrect. The fish shown is clearly an Indian Ocean Oriental Sweetlips, Plectorhinchus vittatus. The correct name for this species is the Indian Ocean Oriental Sweetlips, Plectorhinchus vittatus. We regret the oversight that occurred in our proofing process, and wish to thank the Silvers for sending in the correction. 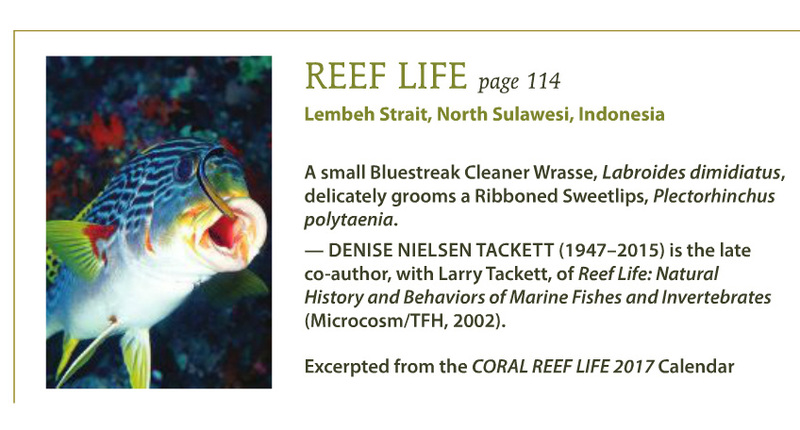 If you find an error in CORAL, please never hesitate to let us know about it; email us at editors@reef2rainforest.com.